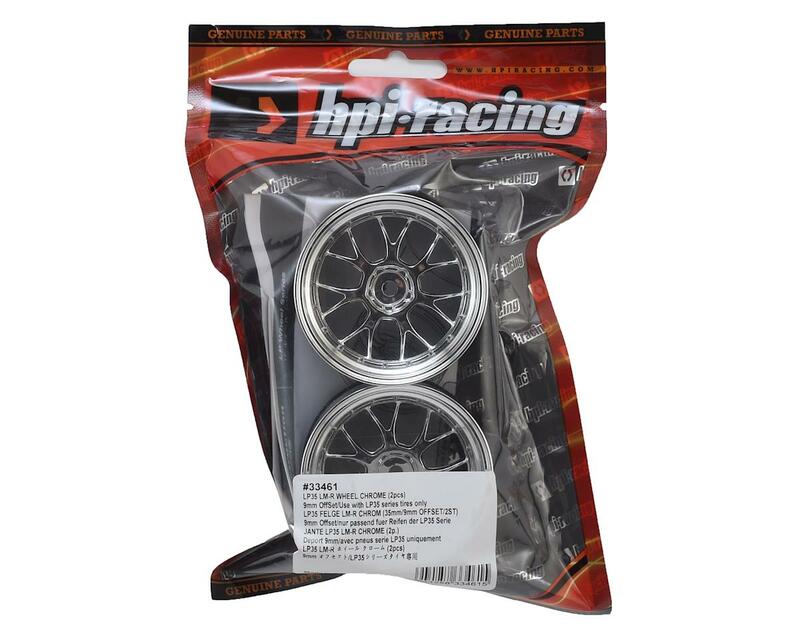 This is a set of two HPI LP35 LM-R Wheels with a 9mm offset, and are intended for use with any touring car that uses a standard 12mm hex adapter. Bolt on the LP35 size for an aggressive wide-stance look! With their Low Profile design, the LP-Series wheels and tires give a menacing stance that easily bolt onto 1/10 scale touring and drift RC cars! 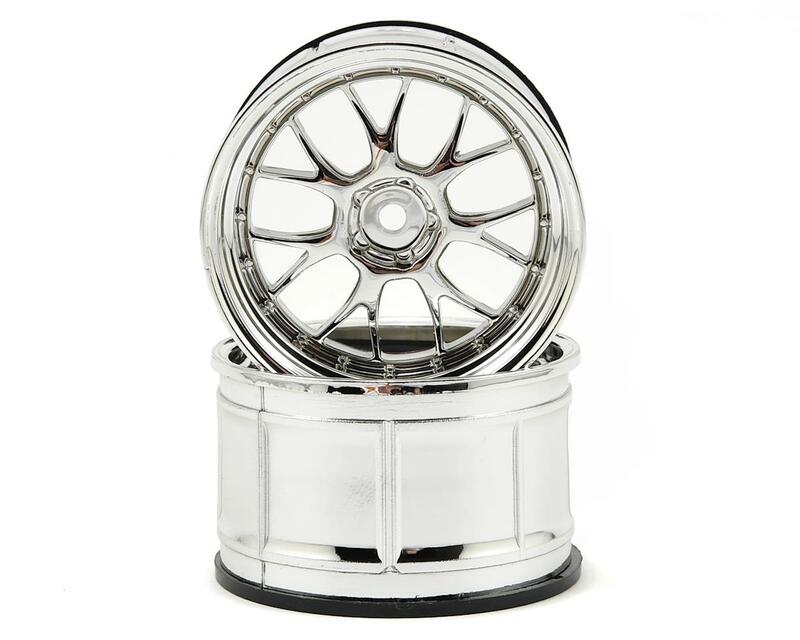 The LP-Series allows car owners to add officially licensed replicas of actual wheel and tread designs from the hottest tuner brands of today for the ultimate in scale realism!